Cal Foote came back from the world junior hockey championships a complete player. The 19 year-old team captain of the Kelowna Rockets didn't wow the national media while wearing Canadian colours, but the first round NHL draft pick of the Tampa Bay Lightning is showing off his offensive flair following the gold medal performance in Buffalo. Foote scored his career high 11th goal of the season and collected two assists in a 5-2 win last night over the visiting Medicine Hat Tigers. In what felt like a rare home game at Prospera Place after two trips to Alberta in the month of January, Foote extended his point streak to 7 games (4+6=10). Foote, who never, never, gets beat one-on-one, has points in 12 of his last 13 games and has been instrumental in leading his team to first place in the BC Division, with a four point lead on second place Victoria. Kole Lind extended his point streak to 19 games with a goal and an assist. The streak started back on December 9th in Brandon. With goals in 5 straight, the 19 year-old now has 199 career points and is top 10 in WHL scoring. The team record is a 24 game point streak set by Brett McLean in the mid 90's. The Rockets power play was terrific. While striking twice on five chances, it was locked in with pin-point passing as the five man unit of Dillon Dube, Carsen Twarynski, Kole Lind and Cal and Nolan Foote were all on the same page. Dube ended the game with three points (1+2=3) and extended his point streak to 12 games. Dube has 10+13=23 over that period. The Rockets have wins in 17 of their last 18 homes games. The Rockets have 18 home ice wins. Moose Jaw and Swift Current each have 20 home ice victories. Brodan Salmond earned the win in goal. Salmond, coming off a significant injury, earned his third win since coming back into the lineup January 17th. Salmond made 31 saves and was named the third star in the Rockets carousel of goalies that can only be exceeded this season by the NHL's Vegas Golden Knights. If you told me at the start of the season that Leif Mattson would score in the neighborhood of 20 goals, I would have shook my head and told you to keep dreaming. The second year forward has 18 goals, fourth most on the team. FOURTH!! If you would have told me that Connor Bruggen-Cate would have more goals than Nolan Foote, I would have told you to take a long walk. Bruggen-Cate has 14 goals on 36 fewer shots on net. Nolan Foote has 12 goals this season after scoring 19 as a rookie. The Rockets lost 20 year-old defenceman James Hilsendager after receiving a high hit from Tigers forward Ryan Chyzowski. It happened in the neutral zone and I honestly didn't get a good look at it. The officials did and handed out a five minute major. The WHL takes head shots very seriously, so a suspension is likely coming Chyzowski's way. Good luck to my colleague Kent Simpson as he heads overseas to do some work for the BBC. Yes, the British Broadcast Corporation. Simpson will be doing colour commentary for men's hockey at the Winter Olympics. The BBC has decided that rather than bring its broadcast crew to PyeongChang, Korea, they will broadcast the games by remote in London. Simpson will be working all of the men's games from the BBC studios. While Simpson will be absent from our AM 1150 broadcasts for the next month, Gord McGarva will elevate his play and will join me for a February which features 8 home games. Game Night Preview: The Kelowna Rockets host the Medicine Hat Tigers at Prospera Place. It is the third and final meeting of the season between the two teams. The Rockets are 2-0-0-0 after a 4-0 win November 25th and a 4-3 overtime victory last Friday in Medicine Hat. Cal Foote scored the game winner in the extra session. The Rockets are coming off a highly successful Alberta road trip last week where they earned a record of 2-0-1-0. All three games were decided in overtime, with the Rockets out-scoring the opponent 10-9. Two of the three games saw 15 year-old Cole Tisdale as the starting goaltender. Overall, the Rockets have won 13 of their last 17 games (12-4-1-0). The Rockets host the Everett Silvertips Friday before facing the Tips in Everett for the first time this season on Saturday. The Rockets are playing their 13th game in 27 days this evening. After two games against Everett this weekend, the Rockets play 15 of their final 20 games against teams in the BC Division. Kole Lind causing chaos: Kole Lind is riding an 18 game point streak. It is the third longest point streak in team history. Tyson Barrie had a 21 game point streak (5+28=33) in the 2009-2010 season. Brett McLean holds the record with a 24 game point streak (18+31=49) in the 1996-1997 campaign. Lind has (14+20=34) over those 18 games and has the bragging rights of owning the third longest point streak in the WHL this season. The longest is held by Swift Current Broncos forward Aleksi Heponiemi, who went 28 games with a point. Broadcasters Notebook: The Rockets made a deal with the Lethbridge Hurricanes January 8th, acquiring the playing rights to 19 year-old forward Ryan Bowen for a 8th round bantam pick. Ryan Bowen is the older brother of prospect Ethan Bowen….The Rockets made a deal January 7th with the Prince Albert Raiders, sending 17 year-old defenceman Konrad Belcourt to PA for a 5th and 8th round pick…The Rockets have 19 wins in their last 25 games….James Porter was named the WHL and CHL Goaltender of the Week ending December 31st after posting a 2-0-0-0 record including one shutout with a goals against average of 0.48 and a save percentage of .987…The Rockets have four hat-tricks this season from Carsen Twarynski (vs. Portland/Prince George), and Kole Lind (Prince Albert/Kamloops)…The Rockets have sent 17 players to Canada’s roster at the World Junior… The Rockets had their 13 game home ice winning streak snapped January 5th vs. Seattle.…The Rockets are 7 and 3 in overtime with game winners coming from Kole Lind (twice), Dillon Dube Carsen Twarynski (twice) and Cal Foote (twice). The only losses in OT came against the Tri City Americans, Portland Winterhawks and Red Deeer Rebels….Erik Gardiner has missed 35 games after being injured October 28th vs. Prince George…: NHL Central Scouting has released its mid-term rankings. Forward Kyle Topping is rated 65th among North American skaters. Defenceman Libor Zabransky is rated 110th…Dillon Dube has scored 20+ goals in three consecutive seasons. Dube had 20 goals last season in 40 games and had a career high 26 in 2015-2016. Dube is riding an 11 game point streak (9+11=20)…The Rockets won their 30th game of the season last Wednesday in Lethbridge, marking the 11th straight season the team has achieved that mark. The last time they fell short was in 2006-2007 when the team earned 22 victories…Liam Kindree is missing his 13th straight game with a lower body injury. Milestones: Connor Bruggen-Cate played in his 100th game December 30th vs. Victoria…Kyle Topping played in his 100th career game January 10th…Jack Cowell played in his 100th career game January 12th in Seattle…Head Coach Jason Smith coached his 100th career regular season game against the Kootenay Ice on December 2nd…Carsen Twarynski played in his 200th career game October 28th against the Prince George Cougars…James Hilsendager plays in his 200th career game November 14th vs. Oil Kings. Kole Lind is clutch. There is no better way to put it. The 19 year-old forward was in on all four goals Wednesday night in the Kelowna Rockets 4-3 overtime win in Lethbridge. Lind, who has arguably one of the best releases in the WHL, set up the opening goal, scored a beauty on the power play, set up the game tying goal with time ticking down and scored the winner on a breakaway in overtime. It was a sensational evening for a player who is so good with the puck. Coaches will get picky about his defensive play, which isn't poor but can always improve, but if you are collecting four points and find the score-sheet on every goal, can you not like what he brings to the table on a nightly basis? Lind is riding a career high 16 game point streak, the fourth longest streak in the WHL this season. By comparison, Reid Gardiner had a 15 game point streak last season from February 10th to March 11th. Tyson Barrie had a 21 game point streak in the 2009-2010 season. With the Hurricanes playing their 6th game in 9 nights, it was imperative for the Rockets to dictate the play to the home team early, which they did to a certain degree. Often times passing up shot opportunities for the pretty play, while firing 14 shots on net in the opening period, my feeling was the Hurricanes were able to hang around long enough to make it a game. A game they did make. The second period was even with four goals scored but missed passes all over the ice was the main theme in the second frame. I thought the Rockets played down to the level of the opponent, or maybe I am being just too critical? When you see the team play so well against Victoria, it is hard to accept such a significant drop in play three nights later. What I liked about the Rockets play was the response when the Hurricanes took a 3-2 lead with exactly 6 minutes to play in the game. It was at that point that the Rockets became assertive, forcing the issue in an effort to tie the score. With the goaltender pulled for the extra attacker, Kole Lind's centering feed would find Carsen Twarynski at the left face-off circle for a one time snap shot that beat Hurricanes goaltender Reece Klassen to the glove hand. It was Lind's third point of the game and Twarynski's team leading 31st of the season. It only seemed fitting that Lind would score the game winner in overtime. It came after rookie 15 year-old goalie Cole Tisdale made a tremendous blocker save on Hurricanes 20 year-old Brad Morrison in overtime and then Lethbridge goalie Reece Klassen robbed Jack Cowell with a sensational glove hand stop when he had no business in keeping the puck out. Cowell, in tight on Klassen, went to the backhand and the 18 year-old Cloversdale, BC product snagged the puck with his catching glove while stretching out in desperation. I thought overage forward Carsen Twarynski was the most proactive player on the ice when it came to delivering hits. He must have had no less than 6 in the game. It was James Hilsendager's crunch on Hurricanes forward Jadon Joseph that really stood out though as the biggest hit in the hockey game. I love Hilsendager's rough and tumble play. Rockets affiliated goaltender Cole Tisdale was granted the start in his own hometown. I am not sure if he was feeling the pressure, but he preformed well under the circumstances. Of the three goals he surrendered, two of them he really had no chance on. The opening goal had Tisdale looking behind the net as the puck squirted out in front before Jadon Joseph buried it to make the score 1-1. That should typically be stopped at this level. Hurricanes leading scorer Jordy Bellerive's snap shot on a two-on-one was wired for the top corner and Igor Merezhko's point shot hit traffic in front before finding its way between the legs of Tisdale to give the Hurricanes their first lead of the game. Tisdale can't be faulted on either of those two. I thought it was a gutsy performance for a goalie who is still wet behind the ears at this level. I find Cal Foote and Gordie Ballhorn, consistently, play a stable game. Never overly flashy, both are smart in staying within their limitations and never being a liability out on the ice. Those two give me what I want game in and game out. The Rockets fired 49 shots towards the Hurricane net, but in my opinion that number was fudged. It just seemed too high for me. The score-sheet says Marek Skvrne had 6 shots on net alone. That would be a career high. Skvrne's best total this season was two shots on goal. The Rockets won for the 30th time this season. That is 30 wins in 11 consecutive seasons. The Rockets now get set for a game in Medicine Hat Friday night. It will be a match up of divisional leaders. The Rockets lead the BC Division by 5 points over second place Victoria while the Tigers lead the Hurricanes by 6 points in the Central. Game Night Preview: The Kelowna Rockets open a three game Alberta road trip tonight with a stop in Lethbridge. This is the third and final meeting of the season between these two teams. The Rockets are 2-0-0-0 after a 7-4 win back on November 17th and a 4-3 victory on January 17th. The Rockets enter the game with 9 wins in their last 10 games against the Hurricanes, including 4-1-0-0 in their last five visits to the Enmax Centre. Last season the Rockets were 1-1-0-0 with a 6-3 win and a 6-5 loss. In the last four visits to Lethbridge, the Rockets have put up no less than 6 goals per game. The Rockets are coming off an 8-4 win against the Victoria Royals Saturday night. Rookie 15 year-old goaltender Cole Tisdale made franchise history by becoming the youngest goalie (15 years- 9 months – 15 days) to earn a win in his first WHL start. Tisdale, an 8th round WHL bantam pick, made 23 saves in the victory. Overall, the Rockets have won 11 of their last 14. The Rockets are in Medicine Hat Friday before visiting Red Deer to close out the trip on Saturday. Rockets Tidbits: NHL Central Scouting has released its mid-term rankings. Forward Kyle Topping is rated 65th among North American skaters. Defenceman Libor Zabransky is rated 110th…Dillon Dube has scored 20+ goals in three consecutive seasons. Dube had 20 goals last season in 40 games and had a career high 26 in 2015-2016…Dube has goals in 5 straight games and is riding a 9 game point streak (9+9=18)….Connor Bruggen-Cate has 7 goals in his last 9 games and has points in 7 of his last 9 games…Nolan Foote had his 9 game point streak last Friday in Seattle. Foote had 2+11=13 over that period…The Rockets are attempting to win 30+ games for the 11th straight season. The last time they fell short was in 2006-2007 when the team earned 22 victories. Broadcasters Notebook: The Rockets made a deal with the Lethbridge Hurricanes January 8th, acquiring the playing rights to 19 year-old forward Ryan Bowen for a 8th round bantam pick. Ryan Bowen is the older brother of prospect Ethan Bowen….The Rockets made a deal January 7th with the Prince Albert Raiders, sending 17 year-old defenceman Konrad Belcourt to PA for a 5th and 8th round pick…The Rockets have 17 wins in their last 23 games…The Rockets record after 46 games this season is 29-14-2-1. Last season the hockey club was 26-16-4-0 after 46 games….James Porter was named the WHL and CHL Goaltender of the Week ending December 31st after posting a 2-0-0-0 record including one shutout with a goals against average of 0.48 and a save percentage of .987…The Rockets have four hat-tricks this season from Carsen Twarynski (vs. Portland/Prince George), and Kole Lind (Prince Albert/Kamloops)…The Rockets have sent 17 players to Canada’s roster at the World Junior… The Rockets had their 13 game home ice winning streak snapped January 5th vs. Seattle.…The Rockets are 5 and 2 in overtime with game winners coming from Kole Lind, Dillon Dube Carsen Twarynski (twice) and Cal Foote. The only losses in OT came against the Tri City Americans and Portland Winterhawks…The Rockets are 12-4-0-0 against BC Division teams this season….The Rockets are 23-1-0-1 when leading after 2 periods…The Rockets are 21-3-1-1 when scoring the first goal of the game….Erik Gardiner has missed 32 games after being injured October 28th vs. Prince George…The Rockets were 9-4 without Dube at the World Juniors/illness when he missed 13 consecutive games….Kole Lind is riding a 15 game point streak. Lind has 11+17=28 over that stretch….Carsen Twarynski has 6 goals in his last 9 games….Kyle Topping has points in 12 of his last 16 games…Upcoming birthdays: January 27th, Wil Kushniryk, January 28th, Ted Brennan, January 29th - Kaedan Korczak. Statement game? You be the judge. Would the Kelowna Rockets 8-4 win Saturday night over the Victoria Royals be considered a statement game? 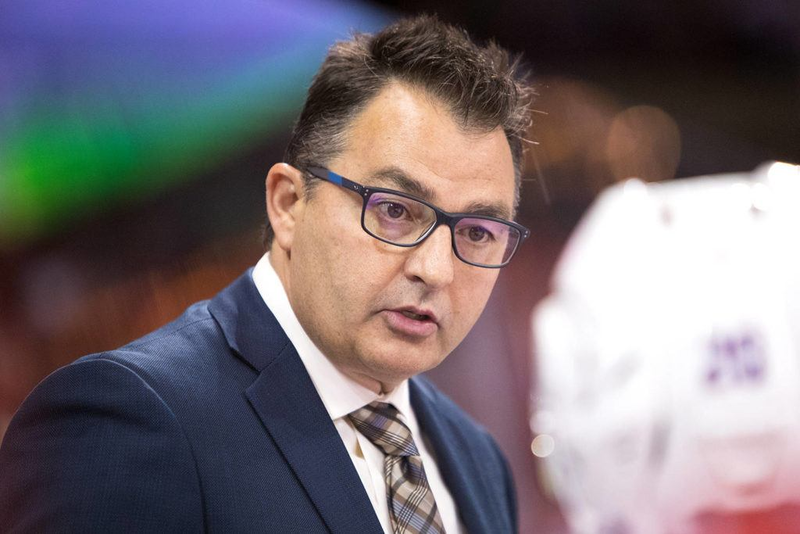 They may downplay the very thought, but it sent a clear message the team that made little to no movement at the Western Hockey League trade deadline are indeed pretty darn good. In a game against an opponent that was the most proactive in the BC Division at the trade deadline to bolster their roster, the Rockets showed the Royals it won't be easy to obtain a BC Division banner this season. Specifically five-on-five the Rockets were the better team. They worked harder. They skated better. They played quicker and most importantly the Rockets best players were indeed better on this night. It was a significant turnaround from the night prior, where the team suffered a 7-2 loss in Seattle and looked out of sorts from the opening face-off. Fifteen year-old Cole Tisdale entered the Kelowna Rockets record books Saturday night with a 23 save performance. The eighth round bantam pick from 2017 became the youngest goalie in franchise history to start and win his first WHL game. Tisdale, who plays midget hockey in Lethbridge but was born in Nanaimo, BC, was all smiles as he accepted third star for his efforts. What I really noticed in the Rockets overall play was energy. Playing with significantly more jump, the teams passing was crisp, calm and calculated. I have to again add that the Rockets played fast. Very fast. The fastest I've seen them play in a long time. Maybe the Royals bring out of the best in the Rockets? All I know is it was one of the best efforts of the season against a very good Royals team that, on this night, couldn't match-up when playing even strength. Three of the Royals four goals came on the power play with the other coming on a third period penalty shot. Who did I like? The big three of Dillon Dube (1+1), Cal Foote (1+1=2) and Kole Lind (1+3=4) all scored in the win. Those three have to get the motor running. They have to be noticeable and all three came through with flying colours. If those three are going, others follow and that's exactly what happened. Jack Cowell was good on the fore-check, Connor Bruggen-Cate played hard and Ted Brennan, for my money one of the most improved rookies this season, had a solid game. I thought Leif Mattson was very, very good. After struggling, much like his teammates in Seattle Friday night, the second year forward was smart with the puck, made simple plays and scored a huge second period shorthanded goal that proved to be the game winner. Mattson has 15 goals. A 20 goal season would be incredible for a player who has scored 11 of his 15 goals this season at even strength. Nolan Foote's battle level was also higher, which translated into a two assist effort. The second year forward has 34 points, just one shy of his career high 35 set in his rookie season. The value of defenceman James Hilsendager can not be overstated. I think his value is much greater than many believe. Chipping in with two assists, his overall meanness on the blue-line and propensity to defend a teammate and knock an opponent on his rear-end should not be overlooked. I especially notice how valuable Hilsendager is when he isn't in the line-up! The same can be said for Gordie Ballhorn, who too played a significantly rougher/tougher game then we usually see from the defensive stalwart. Taking and receiving hits, I thought the 20 year-old was solid at both ends of the ice. Ballhorn plays like an overage should play. Low risk, quick passes and stepping up on opposing forwards in an effort to separate them from the puck. Carsen Twarynski scored his 30th goal of the season. The 20 year-old is the first player to score 30+ goals since Kole Lind scored 30 and Calvin Thurkauf found the back of the net 33 times last season. How good was that trade with Calgary? Yikes! While some would suggest the Royals were playing without two top defenceman in Chaz Redikoop and Jensen Jensen, the Rockets were also playing without top six forward Erik Gardiner, leading rookie scorer Liam Kindree and number one goaltender James Porter Junior. Since Connor Bruggen-Cate scored the 'Teddy Bear Toss' goal back on December 2nd, something has happened in his overall game. No longer just a solid checker, Bruggen-Cate has 13 points in his last 18 games. With four goals in his last four games, the 6th round WHL bantam pick is riding a career high five game point streak and has 16 more points than a season ago. Kole Lind extended his point streak to 15 games with the four point effort. Remember, Kole Lind has points in 23 of his last 24 games. Incredible consistency. Cal Foote scored his 9th goal of the season, which is a new career high for the captain. The Rockets increased their lead on the Royals to three points in the fight for first place in the BC Division, but remain only one point up on Everett for first place in the Western Conference standings. The team opens an Alberta road trip on Wednesday in Lethbridge. Game Night Preview: The Kelowna Rockets face the Victoria Royals in a matchup of the top two teams in the BC Division. They are separated by a single point. Last night, the Rockets suffered a 7-2 loss in Seattle. Dillon Dube scored his 20th goal of the season while Connor Bruggen-Cate fired home his career 13th of the campaign. Brodan Salmond allowed 5 goals on 16 shots and was replaced in the second period by 15 year-old rookie Cole Tisdale, who allowed two goals the rest of the way. Overall, the Rockets have won 10 of their last 13 games with wins over Prince Albert, Saskatoon, Kamloops (twice), Victoria, Tri City, Calgary, Spokane, Seattle and Lethbridge. The Rockets open an Alberta road trip this Wednesday in Lethbridge, before stops in Medicine Hat and Red Deer to close out the trip. Statistically Speaking: Dillon Dube has scored 20 goals in three consecutive seasons. Dube had 20 goals last season in 40 games and had a career high 26 in 2015-2016…Dube has goals in four straight games and is riding an 8 game point streak (8+8=16)….Connor Bruggen-Cate has 7 goals in his last 8 games and has points in 7 of his last 8 games…Nolan Foote had his 9 game point streak snapped last night in Seattle. Foote had 2+11=13 over that period. Broadcasters Notebook: The Rockets made a deal with the Lethbridge Hurricanes January 8th, acquiring the playing rights to 19 year-old forward Ryan Bowen for a 8th round bantam pick. Ryan Bowen is the older brother of prospect Ethan Bowen….The Rockets made a deal January 7th with the Prince Albert Raiders, sending 17 year-old defenceman Konrad Belcourt to PA for a 5th and 8th round pick…The Rockets have 16 wins in their last 22 games with those 6 losses coming to Moose Jaw, Brandon, Swift Current, Tri City, Vancouver and Seattle…The Rockets record after 45 games this season is 28-14-2-1. Last season the hockey club was 27-15-3-0 after 45 games….James Porter was named the WHL and CHL Goaltender of the Week ending December 31st after posting a 2-0-0-0 record including one shutout with a goals against average of 0.48 and a save percentage of .987…The Rockets have four hat-tricks this season from Carsen Twarynski (vs. Portland/Prince George), and Kole Lind (Prince Albert/Kamloops)…The Rockets have sent 17 players to Canada’s roster at the World Junior… The Rockets had their 13 game home ice winning streak snapped January 5th vs. Seattle.…The Rockets are 5 and 2 in overtime with game winners coming from Kole Lind, Dillon Dube Carsen Twarynski (twice) and Cal Foote. The only losses in OT came against the Tri City Americans and Portland Winterhawks…The Rockets are 12-4-0-0 against BC Division teams this season….The Rockets are 22-1-0-1 when leading after 2 periods…The Rockets are 20-3-1-1 when scoring the first goal of the game….Erik Gardiner has missed 31 games after being injured October 28th vs. Prince George…The Rockets were 9-4 without Dube at the World Junior’s….Kole Lind is riding a 14 game point streak. Lind has 10+14=24 over that stretch….Carsen Twarynski has 5 goals in his last 8 games….Kyle Topping has points in 11 of his last 15 games…Upcoming birthdays: January 27th, Wil Kushniryk, January 28th, Ted Brennan, January 29th - Kaedan Korczak. Game Night Preview: The Kelowna Rockets host the Lethbridge Hurricanes for the second of three times this season. The seasonal series closes January 24th in Lethbridge. These two teams met back on November 17th in the Rockets 7-4 home ice win. Dillon Dube scored twice while Cal Foote had four assists. The Rockets are coming off a 3-2 road loss Saturday in Vancouver. Connor-Bruggen-Cate and Leif Mattson scored in the loss, the teams’ first road setback in six games. Overall, the Rockets have won 9 of their last 11 games with wins over Prince Albert, Saskatoon, Kamloops (twice), Victoria, Tri City, Calgary, Spokane and Seattle. The Rockets are in Seattle Friday before hosting the Victoria Royals Saturday night. Tidbits: The Rockets faced Hurricanes goaltender Logan Flodell when he was a member of the Swift Current Broncos. Flodell made 37 saves in a 5-1 win back on December 13th…Hurricanes 20 year-old Brad Morrison is the brother-in-law to former Kelowna Rockets captain Josh Gorges…Lethbridge defenceman Calen Addison is representing the WHL at the CHL Top Prospect Game later this month in Guelph, Ontario. The Rockets have no players participating in the game. Broadcasters Notebook: The Rockets made a deal with the Lethbridge Hurricanes January 8th, acquiring the playing rights to 19 year-old forward Ryan Bowen for a 8th round bantam pick. Ryan Bowen is the older brother of prospect Ethan Bowen….The Rockets made a deal January 7th with the Prince Albert Raiders, sending 17 year-old defenceman Konrad Belcourt to PA for a 5th and 8th round pick…The Rockets have 15 wins in their last 20 games with those four losses coming to Moose Jaw, Brandon, Swift Current, Tri City and Vancouver…The Rockets record after 43 games this season is 27-13-2-1. Last season the hockey club was 25-15-3-0 after 43 games….James Porter was named the WHL and CHL Goaltender of the Week ending December 31st after posting a 2-0-0-0 record including one shutout with a goals against average of 0.48 and a save percentage of .987…The Rockets have four hat-tricks this season from Carsen Twarynski (two vs. Portland/one vs. Prince George), and Kole Lind (vs. Prince Albert and Kamllops)…Lind had three goals in a game against the Kamloops Blazers in December, 2015…The Rockets have sent 17 players to Canada’s roster at the World Junior… The Rockets had their 13 game home ice winning streak snapped January 5th vs. Seattle.…The Rockets are 4 and 2 in overtime with game winners coming from Kole Lind, Dillon Dube Carsen Twarynski (twice). The only loss in OT came against the Tri City Americans and Portland Winterhawks…The Rockets are 12-4-0-0 against BC Division teams this season….The Rockets are 21-1-0-1 when leading after 2 periods…The Rockets are 20-3-1-1 when scoring the first goal of the game….Erik Gardiner has missed 29 games after being injured October 28th vs. Prince George…The Rockets were 9-4 without Dube at the World Junior’s….Kole Lind is riding a 12 game point streak. Lind has 9+13=22 over that stretch….Carsen Twarynski has 5 goals in his last 6 games….Kyle Topping has points in 11 of his last 13 games. Not bad for an 11th round WHL bantam pick…Upcoming birthdays: January 27th, Wil Kushniryk, January 28th, Ted Brennan, January 29th - Kaedan Korczak. The Kelowna Rockets have often faced shoddy opposition goaltending this season. Saturday night in Vancouver/Langley wasn't one of those times. Giants starter David Tendick was solid, leading his team to a 3-2 win. Tendick made several timely stops, including a point blank chance against Rockets leading scorer Kole Lind and then two tremendous saves in a ten second sequence in the third period against Braydyn Chizen and Connor Bruggen-Cate. In a season where I'd say goaltending across the league is very, very average, Tendick's exploits were a bright spot for a 18 year-old who was named the second star with a 28 save performance. The loss, the Rockets second in four meetings against the Giants this season, has the two team's separated by 1 point in the BC Division standings. The Rockets do hold two games in hand. While Tendeck was sharp in the Giants goal, I think it would be fair to suggest the Rockets top end forwards were not. I thought it was a really quiet night for Lind, Carsen Twarynski and Kyle Topping. Lind's first period scoring chance was really his only one of the game. Twarynski, named the third star, also had a quiet game for a player knocking on the door of 30 goals. Topping, who has points in 11 of his last 13 games, also had a very uneventful evening. In a game against division leaders, those three can't be innocent bystanders. Twarynski and Topping combined for only three shots on goal. Lind had a total of five under the watchful eye of Vancouver Canucks Senior Advisor Stan Smyl who took in the game. If you think I am being hard on the top end players, it is a fact that you will only go as far as those players carry you. Let's use this analogy. If a lead singer of a rock group has tone or pitch problems, the band, no matter how well they play the guitar or drums, will be considered unlistenable. The lead singer, or in this case, leading scorers need to be at their best. Secondary scoring will be pivotal for the Rockets to have long term playoff success, but it is never good when only Leif Mattson and Connor Bruggen-Cate are hitting the score-sheet. Bruggen-Cate's one timer from the left face-off circle was a nice goal, his career high 10th of the season. The third year forward now has 4 goals in his last 6 games. Mattson's passing attempt went off a Giants defender and through the legs of Tendick to tie the score at two. It was Mattson's 14th goal of the season as he generated a team high 6 shots on net. Mattson has points now in 7 of his last 8 games. I would say those two played the hardest among the forward core and were rewarded offensively for it. While the power play was a key factor in a 6-2 win in Seattle Friday night, it let them down a night later. In a scoreless tie, the Rockets were granted three consecutive power plays in the first period but couldn't convert. The visitors could have taken over the game at that point but allowed the Giants to hang around before eventually the home team scored three of the final four goals of the game. The Rockets played the game without Dillon Dube who is sidelined with the flu. Dube has missed 13 straight games either playing for Canada or become ill at tournaments end. We should see the 19 year-old back in the line-up Wednesday against Lethbridge. Kole Lind did extend his point streak to 12 games with an assist on Connor Bruggen-Cate's opening goal. Brodan Salmond was James Porter Junior's back-up in both games. Sixteen year-old Roman Basran is still be evaluated after being injured in the first period of last Wednesday's 7-4 home ice win over Spokane. The Rockets five game road winning streak came to an end. The team had picked up wins over PA, Saskatoon, Kmaloops, Calgary and Seattle before losing at the Langley Events Centre. While Cal Foote had his 5 game point streak snapped Saturday night, he made a goal saving stop in the crease when Rockets goaltender James Porter Junior lost sight of the puck behind him and Foote came in and used his glove to swipe the puck from going over the goal line. We've seen that play before haven't we! The Rockets are now 19-7-0-0 in their last 26 games. The Giants are 18-6-2-0 over that same stretch. In the BC Division, it will be a fight to the finish. The Rockets have a busy week ahead of them. After a home game against the Lethbridge Hurricanes Wednesday night, the team again returns to Seattle for the second time in a week on Friday. The Rockets then rush home to face the Victoria Royals Saturday night. A week ago, the Seattle Thunderbirds ended the Kelowna Rockets season high 13 game home ice winning streak. It was only fitting seven days later that the Rockets ended the T-Birds 9 game point streak. Carsen Twarynski scored his 28th and 29th goals of the season Friday night in the Rockets 6-2 win at ShoWare Center. Outplayed a week ago on home ice, the roles were reversed in the rematch of Western Conference foes. This time it was the Rockets that took the play to the T-Birds, striking for four power play goals and snuffing out any momentum by killing off five penalty killing chances. Leif Mattson with two goals, Jack Cowell and Colum McGauley also scored in the teams’ 27th win of the season. The power play was terrific in the Rockets 9th win in 10 games. It set the tone with two quick strikes when the visitors were granted a 5 on 3. Twarynski opening the scoring before Cowell, playing in his 100th career game, made it 2-0 with another power play goal and the Rockets took over the game. Owning the third best unit in the league, it simply outworked the Seattle penalty killing unit to loose pucks. Two crazy plays stood out in this game. The first came in the second period when a scrum occurred in front of the Kelowna Rockets bench. With almost everyone focusing on the pushing and shoving between the two team's, rookie forward Colum McGauley collecting the puck in the neutral zone, skated on right wing and had a clear lane to the net. The 17 year-old, who has been a healthy scratch more times than he’s been in the line-up, went in on a breakaway and easily beat Seattle goaltender Liam Hughes with a quick shot – blocker side. It was McGauley second career goal and was his first game winner in the WHL. The other strange play came late in the third period when the T-Birds pulled their goaltender to make a late charge. Rockets forward Leif Mattson won a puck inside the Seattle blue-line and fired it at the wide open goal. T-Birds overage defenceman Austin Strand threw his stick at the puck, deflecting it wide. The back official quickly signaled a goal as the puck would have clearly entered the net had the stick not been thrown by the T-Bird defender. Held pointless, I thought Nolan Foote had a real good game. The second year forwards battle level was excellent and he appeared to be physically engaged in the game. It looked like a carryover from his performance Wednesday night against the Spokane Chiefs where he hit the goal post three times. It may sound strange to suggest a pointless player played above average, but that’s how I saw it. Cal Foote was named the first star for a second straight game. After picking up a goal in his first game back from the World Junior Hockey Championships, the 19 year-old had three assists in the victory. Kole Lind extended his point streak to 11 games with an assist. The win moved the Rockets three point up on the idle Vancouver Giants in the fight for first place in the BC Division heading into tonight's tilt between the two teams here in Langley. The Rockets are 2-1-0-0 in the seasonal series with a win and a loss at the LEC. There has been much excitement in the Seattle/Kent area over talk of the NHL granting an expansion franchise to begin play in 2020-2001. You would figure some of the current employees with the T-Birds would be ideal candidates to fill some of the positions should the NHL become a reality in Washington State. Game Night Preview: The Kelowna Rockets open a mini two game road trip tonight against the Seattle Thunderbirds. This is the first visit to the ShoWare Center since last season’s Western Conference championship series, where in game five, the T-Birds earned a 5-3 win. In that game, the Rockets out-shot the T-Birds 40-24, yet Seattle struck for three power play goals. In their most recent meeting, a week ago at Prospera Place, the T-Birds scored two-third period goals in a 6-4 win. Leif Mattson, Gordie Ballhorn, Kyle Topping and Carsen Twarynski scored in the loss, snapping the Rockets 13 game home ice winning streak. How crazy is this? These two teams battled last Friday, now tonight and meet again next Friday, again here at ShoWare Center. The seasonal series ends February 23rd at Prospera Place. The Rockets are coming off a 7-4 win over the Spokane Chiefs Wednesday night. Kyle Topping scored twice in the win while Carsen Twarynski had three assists. Overall, the Rockets have won 8 of their last 9 games with wins over Prince Albert, Saskatoon, Kamloops (twice), Victoria, Tri City, Calgary and Spokane. The Rockets are in Vancouver tomorrow night before hosting Lethbridge on Wednesday at Prospera Place. Broadcasters Notebook: The Rockets have received goals from defenceman in three consecutive games. 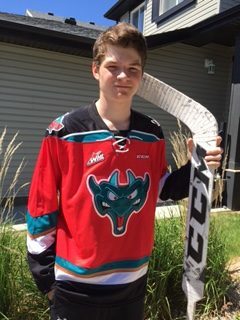 Gordie Ballhorn, James Hilsendager, Braydyn Chizen, Cal Foote and Kaedan Korczak have all found the back of the net over that period…The Rockets made a deal with the Lethbridge Hurricanes on Monday, acquiring the playing rights to 19 year-old forward Ryan Bowen for a 8th round bantam pick. Ryan Bowen is the older brother of prospect Ethan Bowen….The Rockets made a deal last Sunday with the Prince Albert Raiders, sending 17 year-old defenceman Konrad Belcourt to PA for a 5th and 8th round pick…The Rockets have 14 wins in their last 18 games with those four losses coming to Moose Jaw, Brandon, Swift Current and Tri City…The Rockets record after 41 games this season is 26-12-2-1. Last season the hockey club was 23-15-3-0 after 41 games….James Porter was named the WHL and CHL Goaltender of the Week ending December 31st after posting a 2-0-0-0 record including one shutout with a goals against average of 0.48 and a save percentage of .987…The Rockets have four hat-tricks this season from Carsen Twarynski (two vs. Portland/one vs. Prince George), and Kole Lind (vs. Prince Albert and Kamllops)…Lind had three goals in a game against the Kamloops Blazers in December, 2015…The Rockets have sent 17 players to Canada’s roster at the World Junior…Kyle Topping and Libor Zabrasky are both rated as ‘C’ prospects for June’s NHL draft by NHL Central Scouting. Topping was not on the ‘Players to Watch’ list in October before appearing in November’s rankings…The Rockets had their 13 game home ice winning streak snapped last Friday night. The team racked up wins over Portland, Tri City, Prince George (twice), Vancouver, Red Deer, Edmonton, Lethbridge, Kootenay and Kamloops (twice), Victoria and Tri City….The Rockets are 4 and 2 in overtime with game winners coming from Kole Lind, Dillon Dube Carsen Twarynski (twice). The only loss in OT came against the Tri City Americans and Portland Winterhawks…The Rockets are 9-5-1-0 in the second of back-to-back games….The Rockets are 12-3-0-0 against BC Division teams this season….The Rockets are 20-1-0-1 when leading after 2 periods…The Rockets are 19-2-1-1 when scoring the first goal of the game….Erik Gardiner has missed 27 games after being injured October 28th vs. Prince George…The Rockets were 7-3 without Dube and Foote at the World Junior’s. Milestones: Connor Bruggen-Cate played in his 100th game December 30th vs. Victoria…Kyle Topping is played in his 100th career game Wednesday night….Jack Cowell plays in his 100th career game tonight….Head Coach Jason Smith coached his 100th career regular season game against the Kootenay Ice on December 2nd…Carsen Twarynski played in his 200th career game October 28th against the Prince George Cougars…James Hilsendager plays in his 200th career game November 14th vs. Oil Kings. Dan Lambert’s first game against his old team earlier this season was highly successful. The personable head coach's first visit to Kelowna? Not so much. The Spokane Chiefs skated away with a 6-2 win over the Rockets in Spokane in late November against the team Lambert helped win a WHL title with in 2015. Lambert was back at Prospera Place for the first time Wednesday night where his junior hockey coaching career started as an assistant to Ryan Huska in 2009-2010. Five seasons later he was leading the Rockets to the Ed Chynoweth Cup. Kyle Topping spoiled Lambert’s return with a three point performance (2+1=3) in a 7-4 win before a crowd of 5 thousand three hundred 62. The Rockets scored three-third period goals from Braydyn Chizen, Topping and Kole Lind in the teams 26th victory of the season. The win kept the Rockets one point up on Vancouver in the fight for first place in the BC Division. Before the game, Cal Foote and Dillon Dube were recognized for winning gold for Canada at the most recent world junior hockey championship. While Foote made his way to the red carpet to shake the hand of general manager Bruce Hamilton before accept his gift of a Hugo Boss suit, it was announced on the PA system that Dube was unable to attend the game after falling ill following the tournament’s championship game. Both Dube and Foote will have the privilege of having their portraits added to the Kelowna Rockets ‘Wall of Fame’ located just outside the teams’ dressing room. That will likely happen this summer. While Dube was unable to play against the Chiefs, Cal Foote made an immediate impact in his first game back. Named the first star, Foote scored a key goal on the power play with a booming blast in the second period to give his team a 4-3 lead. Foote also was excellent defensively, initiated a perfect hip heck on an unsuspecting Chiefs forward and showed his brute strength by powering Spokane 20 year-old Zach Fischer into the gateway of the Rockets bench after a scrum occurred between a Chiefs player and Cal’s younger brother Nolan. With Foote back in the line-up, it took significant pressure away from both veteran defenders Gordie Ballhorn and James Hilsendager. Those two logged significant minutes while Foote was playing for Hockey Canada. Both overage d-man did a terrific job while Foote was away and need to be recognized for helping the team go 7 and 3 in 10 games without both Foote and Dube. He finally got it! Rookie 16 year-old Kaedan Korczak scored his first career WHL goal. His seeing-eye wrister from the blue-line found its way past Spokane starting goaltender Donovan Buskey. You knew it was only a matter of time for the highly skilled defender to find the back of the net. Korczak is playing his best hockey of the season and is making significantly strides in his overall game. As for Buskey.....he was massively outplayed by the guy at the other end of the ice. Let’s give James Porter Junior some credit here. The rookie goalie came into the game after 16 year-old fellow-rookie Roman Basran was injured early in the first period after making a sensational split save, denying the Chiefs of the opening goal of the game. Porter came in and didn’t miss a beat. His only error was failing to hop on a puck that he stopped, only to see Chiefs defenceman Jeff Faith, playing as a forward in the first period, beating him to it and jamming it into the net. I thought Porter was quick, engaged and made saves that could have turned the tide in the Chiefs favour with a sub par performance. Four words: an excellent relief appearance. I often find it interesting how different members of the media see the game. Was Spokane Chiefs forward Jaret Anderson-Dolan not terrific last night? Was he not worthy of a game star? Guess not. The second round pick of the LA Kings looked like one last night. Anderson-Dolan scored a goal, but his skating ability and overall dominance with the puck and his effort to get it into his grasp was outstanding. I don’t know, maybe I don’t get it and what catches my eye as being terrific, consistent play is out in left field. It was a crazy day as the Western Hockey League trading deadline came to an end. It was the most bizarre series of days in my 18 years in the league. Teams were paying unprecedented prices for players (some not even considered elite) in an effort to give them a better chance at this year’s championship. I understand wanting to improve your team, heck, that’s why teams make deals, but making massive trades to obtain a significant numbers of players tells me a few things about that organization. The scouting is average to below average. I get the theory of making a few deals to solidify holes in your line-up, but if you fall that short of having quality talent and need to make massive, wholesale changes that force you to trade away high draft picks, prospects and jeopardize your future in the process, it makes no sense. Sure, your probability of success, while better, is still extremely risky. On the flip side, while a few teams were willing to play ‘risky business’ at the trade deadline, I have to give both the Swift Current Broncos and Moose Jaw Warriors some slack here. A Saskatchewan based team rarely competes for the WHL title – ever. They come close sometimes, but no team since the 1993 Swift Current Broncos has ever won the Ed Chynoweth Cup. That’s 24 years of drought. 24 years! Moose Jaw was the last in the league finals in 2006, but they too lost out to eventual league champion Vancouver Giants. If either Swift Current or Moose Jaw can win a league title, maybe it’s a once in a lifetime thing? Sad but true. Therefore, why not throw out all the stops in an effort to win, even if it is at all costs with the likelihood it will cripple your team for years. Sadly, one of Swift Current and Moose Jaw will have their season come to an end when they possibly meet as early as the second round. The Rockets open a two game road trip with a stop in Seattle Friday and a first place date with the Vancouver Giants on Saturday. The Rockets will have to be ready for both. Seattle badly outworked them last Friday in a 6-4 loss while the Giants are arguably the hottest team in the Western Conference. Both games will be nothing short of terrific. Game Night Preview: The Kelowna Rockets are back on home ice hosting the Spokane Chiefs. This is the third meeting of the season between these two teams. Back on November 22nd the Chiefs earned a 6-2 victory before the Rockets scored a 4-2 win back on December 1st. After tonight’s game, the seasonal series ends March 3rd at Prospera Place. In the last 14 regular season games between these two teams, the Rockets are an impressive 8-2-4-0. Carsen Twarynski leads the Rockets in the seasonal series against the Chiefs with 2+1=3. Both power plays have struggled against one another. The Rockets are 1 for 7 while the Chiefs are 1 for 10. Overall, the Rockets have won 7 of their last 8 games with wins over Prince Albert, Saskatoon, Kamloops (twice), Victoria, Tri City and Calgary. The Rockets travel to Seattle Friday and Vancouver Saturday night. Golden Boys: The Rockets were an impressive 7-3-0-0 without Dillon Dube or Cal Foote in their lineup. Both Dube and Foote return to game action tonight. Dube and Foote helped Canada earn gold at the World Junior Hockey Championships. Dube and Foote are the 9th and 10th members of the organization to win gold. Robb Gordon, Blake Comeau, Shea Weber, Luke Schenn, Tyler Myers, Jamie Benn, Josh Morrissey and Madison Bowey are all on that prestigious list. Broadcasters Notebook: The Rockets made a deal with the Lethbridge Hurricanes on Monday, acquiring the playing rights to 19 year-old forward Ryan Bowen for a 8th round bantam pick. Ryan Bowen is the older brother of prospect Ethan Bowen….The Rockets made a deal Sunday with the Prince Albert Raiders, sending 17 year-old defenceman Konrad Belcourt to PA for a 5th and 8th round pick…The Rockets have 13 wins in their last 17 games with those four losses coming to Moose Jaw, Brandon, Swift Current and Tri City…The Rockets record after 40 games this season is 25-12-2-1. Last season the hockey club was 23-14-3-0 after 40 games….James Porter was named the WHL and CHL Goaltender of the Week ending December 31st after posting a 2-0-0-0 record including one shutout with a goals against average of 0.48 and a save percentage of .987…The Rockets have four hat-tricks this season from Carsen Twarynski (two vs. Portland/one vs. Prince George), and Kole Lind (vs. Prince Albert and Kamllops)…Lind had three goals in a game against the Kamloops Blazers in December, 2015…The Rockets have sent 17 players to Canada’s roster at the World Junior…Kyle Topping and Libor Zabrasky are both rated as ‘C’ prospects for June’s NHL draft by NHL Central Scouting. Topping was not on the ‘Players to Watch’ list in October before appearing in November’s rankings…The Rockets had their 13 game home ice winning streak snapped last Friday night. The team racked up wins over Portland, Tri City, Prince George (twice), Vancouver, Red Deer, Edmonton, Lethbridge, Kootenay and Kamloops (twice), Victoria and Tri City….The Rockets are 4 and 2 in overtime with game winners coming from Kole Lind, Dillon Dube Carsen Twarynski (twice). The only loss in OT came against the Tri City Americans and Portland Winterhawks…The Rockets are 9-5-1-0 in the second of back-to-back games….The Rockets are 12-3-0-0 against BC Division teams this season….The Rockets are 19-1-0-1 when leading after 2 periods…The Rockets are 19-2-1-1 when scoring the first goal of the game….Erik Gardiner has missed 26 games after being injured October 28th vs. Prince George. Milestones: Connor Bruggen-Cate played in his 100th game December 30th vs. Victoria…Kyle Topping is playing in his 100th career game tonight….Jack Cowell is playing in his 99th career game tonight – 1 shy of 100….Head Coach Jason Smith coached his 100th career regular season game against the Kootenay Ice on December 2nd…Carsen Twarynski played in his 200th career game October 28th against the Prince George Cougars…James Hilsendager plays in his 200th career game November 14th vs. Oil Kings. Game Night Preview: The Kelowna Rockets make their lone appearance in Calgary when the two teams collide for the second time this season. The Hitmen beat the Rockets 4-3 back on October 13th. The Rockets are coming off a 6-4 home ice loss Friday night to the visiting Tri City Americans. The Rockets battled back from two-two goals deficits to tie the score at 4 after 40 minutes. The Americans would score twice in the third, snapping the Rockets 6 game winning streak. Carsen Twarynski, Leif Mattson, Gordie Ballhorn and Kyle Topping scored in the setback. Overall, the Rockets have won 6 of their last 7 games with wins over Prince Albert, Saskatoon, Kamloops (twice), Victoria and Tri City. The Rockets host Spokane Wednesday before traveling to Vancouver Friday and Vancouver Saturday night. Golden Moment: Dillon Dube and Cal Foote helped Canada earn gold at the World Junior Hockey Championships. Dube and Foote are the 9th and 10th members of the organization to win gold. Robb Gordon, Blake Comeau, Shea Weber, Luke Schenn, Tyler Myers, Jamie Benn, Josh Morrissey and Madison Bowey are all on that prestigious list. January Schedule: The Rockets play 13 games in January. Of those 13, six will be played on home ice. Six of those games are against teams in the Central Division including two each with Medicine Hat and Lethbridge. Five of those games are against US Division teams including three against the Seattle Thunderbirds. Broadcasters Notebook: The Rockets out-scored the opposition 25-10 during a recent 6 game winning streak…The Rockets have 12 wins in their last 16 games with those four losses coming to Moose Jaw, Brandon, Swift Current and Tri City…The Rockets were 6-3-0-0 without Dillon Dube and Cal Foote at the World Junior Hockey Championship……The Rockets record after 39 games this season is 24-12-2-1. Last season the hockey club was 23-14-2-0 after 39 games….James Porter was named the WHL and CHL Goaltender of the Week ending December 31st after posting a 2-0-0-0 record including one shutout with a goals against average of 0.48 and a save percentage of .987…Carsen Twarynski has goals in 11 of his last 17 games…Twarynski had a career high 45 points with the Calgary Hitmen in 2015-2016. The 20 year-old is 2 points shy of that total this season…The Rockets have four hat-tricks this season from Carsen Twarynski (two vs. Portland/one vs. Prince George), and Kole Lind (vs. Prince Albert and Kamllops)…Lind had three goals in a game against the Kamloops Blazers in December, 2015…The Rockets have sent 17 players to Canada’s roster at the World Junior…Kyle Topping and Libor Zabrasky are both rated as ‘C’ prospects for June’s NHL draft by NHL Central Scouting. Topping was not on the ‘Players to Watch’ list in October before appearing in November’s rankings…The Rockets had their 13 game home ice winning streak snapped Friday night. The team racked up wins over Portland, Tri City, Prince George (twice), Vancouver, Red Deer, Edmonton, Lethbridge, Kootenay and Kamloops (twice), Victoria and Tri City….The Rockets played their 16 hundredth regular season game in franchise history November 3rd in Victoria in a 4-2 win…The Rockets are 4 and 2 in overtime with game winners coming from Kole Lind, Dillon Dube Carsen Twarynski (twice). The only loss in OT came against the Tri City Americans and Portland Winterhawks…The Rockets are 9-5-1-0 in the second of back-to-back games….The Rockets are 12-3-0-0 against BC Division teams this season….The Rockets are 19-1-0-1 when leading after 2 periods…The Rockets are 19-2-1-1 when scoring the first goal of the game….Erik Gardiner has missed 25 games after being injured October 28th vs. Prince George. Milestones: Connor Bruggen-Cate played in his 100th game last Saturday vs. Victoria…Kyle Topping is playing in his 99th career game tonight – 1 shy of 100….Jack Cowell is playing in his 98th career game tonight – two shy of 100….Head Coach Jason Smith coached his 100th career regular season game against the Kootenay Ice on December 2nd…Carsen Twarynski played in his 200th career game October 28th against the Prince George Cougars…James Hilsendager plays in his 200th career game November 14th vs. Oil Kings.